Tailor-made to elevate your productions to the content quality standards of the Hollywood entertainment industry. the next innovation in musical expression and creation from korg has arrived! 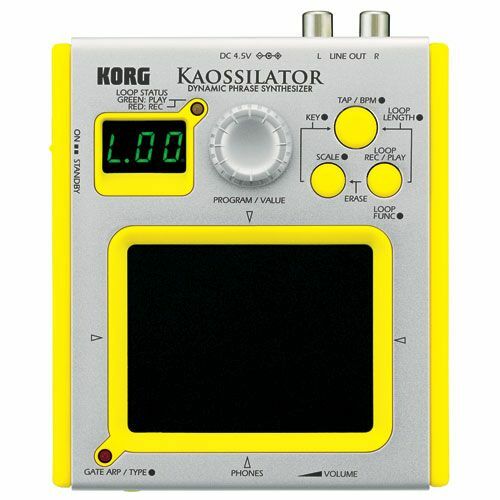 the kaossilator is a new pocket sized instrument that packs korg’s world renowned synth sound along with innovative performance features into an ultra-compact unit. Hay … KCAL Gets New Promo Dir. UPDATE: Cox raises buyout by a buck. Clear Channel restructuring goes deeper. Keep in touch with radio. PDs picking from talent menu. Consultant: Radio needs pandemic plan. How many listen to Channel 6? Clear Channel Eliminates Corporate Marketing Dept. Is Your Station Prepared For Swine Flu? What’s Goin’ On In Tampa?